Engaging and fun for everyone! 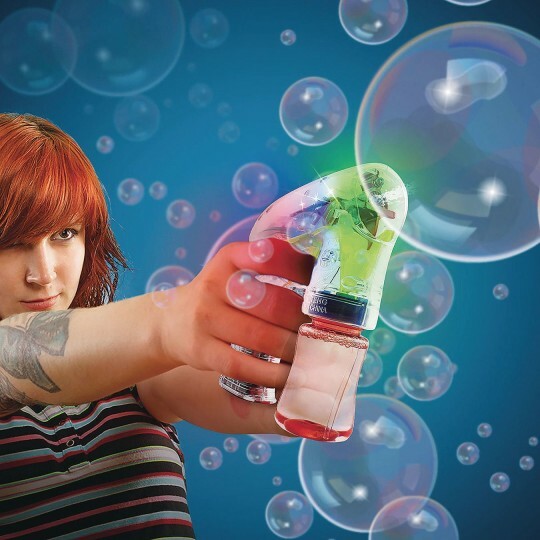 Kids – and adults – of all ages will love creating bubbles with the Light Up Bubble Gun! Watch in amazement as a seemingly endless stream of bubbles float out into the air, highlighted by a light show that illuminates them! It’s awesome and engaging! 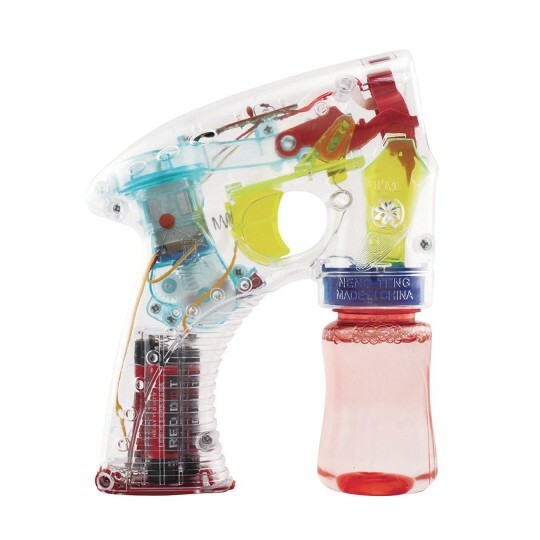 This 5-1/2”H LED Bubble gun includes 1.8 oz. bottle of bubbles and is easily refillable. 3 AAA batteries included and installed.